Located 2 minutes from the centre of a small town with shops, schools, ... this property offers a living area of ​​nearly 500 sqm. It includes: - a building with the main house, a second house, a barn and a lean-to, - a third house, - an old bakery with bread oven and - an outbuilding. On the ground floor of the main house are : - a large living room with beautiful fireplace (~78,9 m²), - a kitchen (~24,9 m²), - entrance and clearances, - a first bedroom with cupboard (~12,3 m²), - a room with fireplace (~52 m²), which could be divided into two bedrooms, - a shower room (~4,9 m²), - a toilet and - a boiler room Upstairs, accessible by a staircase and an elevator, are : - a beautiful mezzanine overlooking the living room (~43,8 m²), - a second bedroom, carpeted floor and a cupboard (~20,3 m²), - a third bedroom with carpeted floor (~13,35 m²), - a fourth large bedroom with cupboard (~36,2 m²), - a bathroom (~6,7 m²) and - a toilet. The ground floor of the adjacent house (~54,2 m²) is divided into : - a living room with wood stove serving as central heating, - a kitchen and - a bathroom with toilet. On the first floor of the same surface are three rooms and an office. The third house, independent, comprises on the ground floor (~57 m²): - a living room with wood stove, - a kitchen and - a bathroom with toilet. On the first floor of the same area are three bedrooms with sloping ceiling, exposed beams and parquet floor. This property includes several outbuildings: - a barn attached to the second house (~80 m²) and a lean-to (~32,3 m²). - an independent building used for storage (~15.09 m²) and - an independent bakery with bread oven (~17,02 m²). This group of buildings is nicely set back from the road on about 6.4 acres of land with two wells and a 50 m3 tank filled by rainwater. Energy rating : no data, blank label. 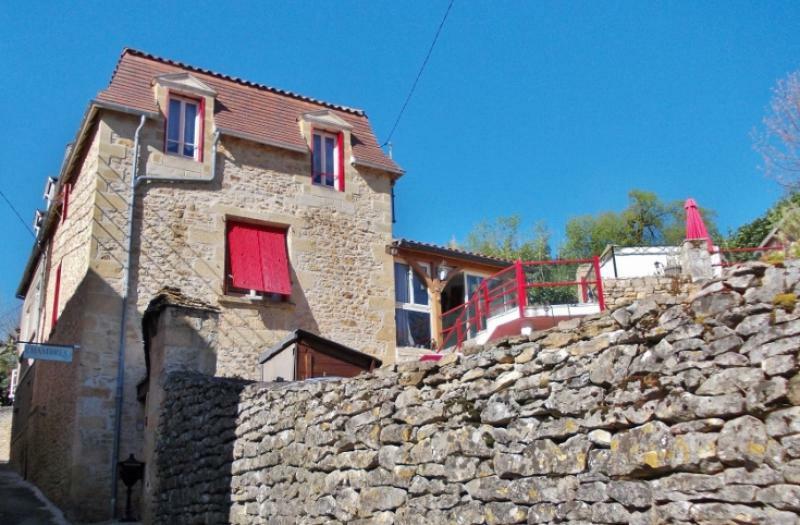 Huge 420m² 7 bed home with 2 studios ideal for gites.